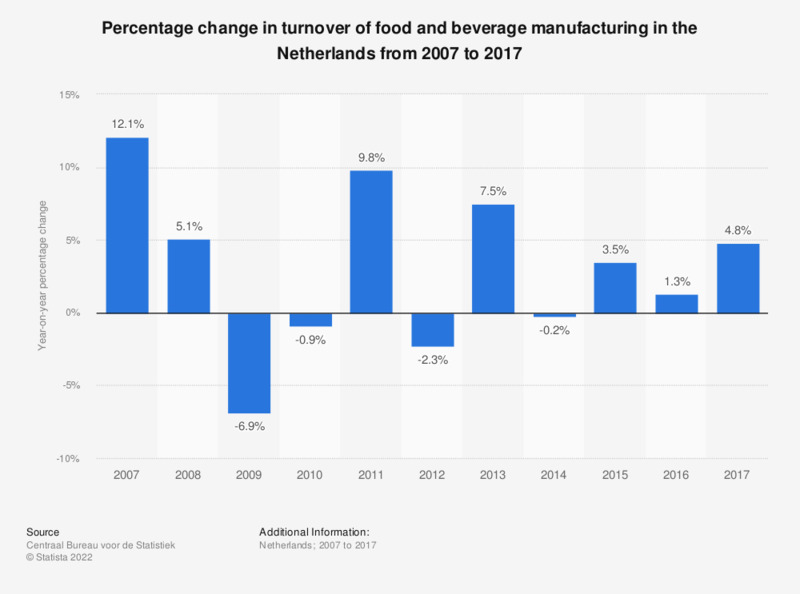 This statistic illustrates the percentage change in sales turnover from the manufacture of food products and beverages products in the Netherlands from 2007 to 2017. Food and beverage manufacturers' turnover fell by 6.9 percent in 2009, the biggest decline over the period in consideration. In 2017, the percentage change in the turnover was 4.8 percent, indicating that the turnover of the food products and beverages products manufacturing increased by 4.8 percent. In 2016, the increase had been 1.3 percent.